See what&apos;s in store for you during your visit by downloading the digital visitors guide.Also, you can check out the guide right now below! 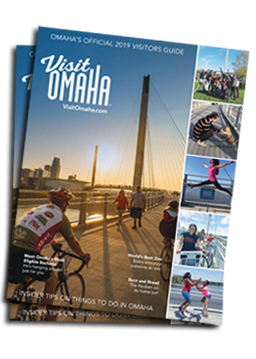 Receive more exciting news, event information and special offers from Visit Omaha by signing up for our eNewsletter. Your visitor guide will be on its way soon! If you just can&apos;t wait to see what&apos;s in store for you during your visit download the digital visitors guide or preview in our flip book. See below to start browsing the Omaha Visitor Guide now!